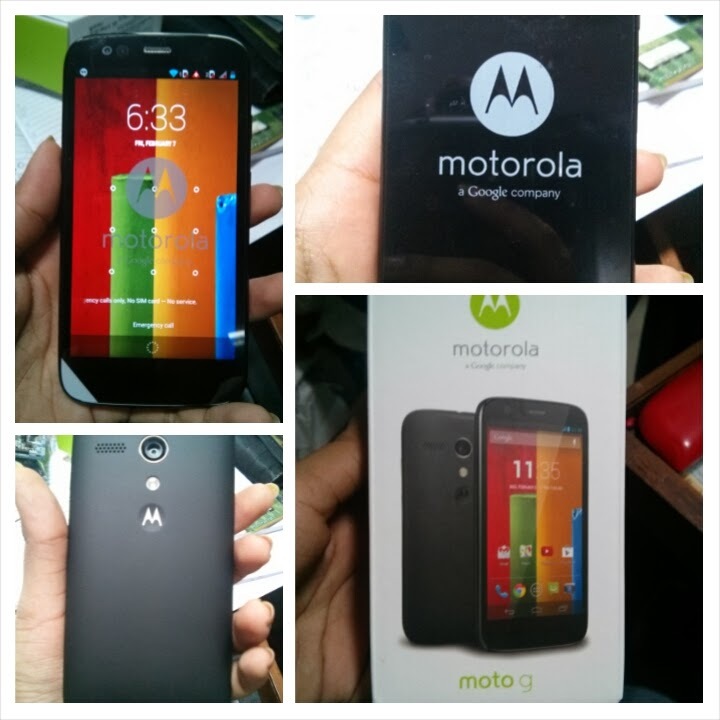 So I ordered the Moto G 16 GB from Flipkart on 6th and paid Rs. 90 extra for 1 day delivery, which seemed worth it rather than waiting for almost a week! This is obviously a review based on a 1 day usage. A more in - depth one can be done only after using the phone for at-least a week! This one is for all those who are in the dilemma of to buy or not to buy! The built quality is great, the phone looks to be really durable, specially with its Corning Gorilla Glass & Water Repellent Coating! Perfect Size, not too big not too small. Great display & touch screen. Specially if you compare it with other android phones in the same range. Though the 4.4 Kitkat update has not rolled out yet, it will be nice to see that happen soon! Battery life is pretty decent, true to what they state. Sound quality, both on speaker & earphones is great; Loud, Crisp & Clear! Comes with a Charger & Earphone, Wasn't expecting the earphone since Nexus 4 & 5 didn't have it. Has a FM Radio, something Nexus series lack. Very competitive pricing, a good choice if you are on a 10-15k budget. Variety of Flip & Back covers in different colors! Found the phone to be a little heavy for its size, without a flip cover. If you have used a lighter weighing phone, you might find it little bulkier. The camera quality is average, not exceptional. The charger & earphones bundled are of mediocre quality. If you do not want to exceed your budget beyond 15k, go for it. The 8 GB variant for 12,500/- ain't a bad option either (but there is no expandable memory option) Brilliant User Interface, comes with Motorola apps that make transferring data from old phone, setting phone on meeting or business mode, etc easier! Love the different colored back/flip covers available! A great dual sim, decent battery life android phone in the market! NICE review ! I too bought moto g on launch day but awaiting delivery by slow flip-cart. IskiUski is one of the online foremost jewellery shop in india with the latest jewellery design in Gold, Diamond, Silver. We offer wide range of earrings gold online from various famous designers.